As those of you who read the MyGolfSpy Forum know, I was fortunate enough to vacation in Maui this summer. As I was looking over golf possibilities for the trip, I came across a promotion offered by the Kapalua Golf Academy. 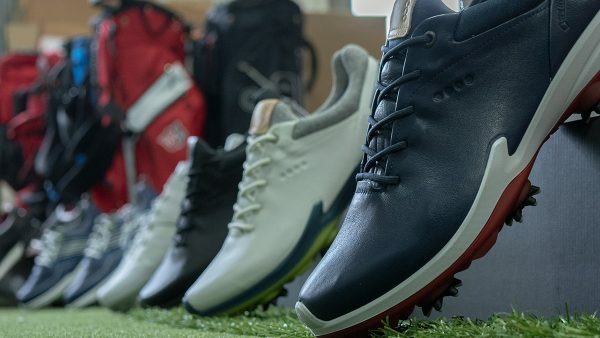 The promotion included a three-hour instruction session at the Kapalua Golf Academy, lunch at the Plantation Restaurant, and then finished off with an afternoon round on the Kapalua Plantation course. 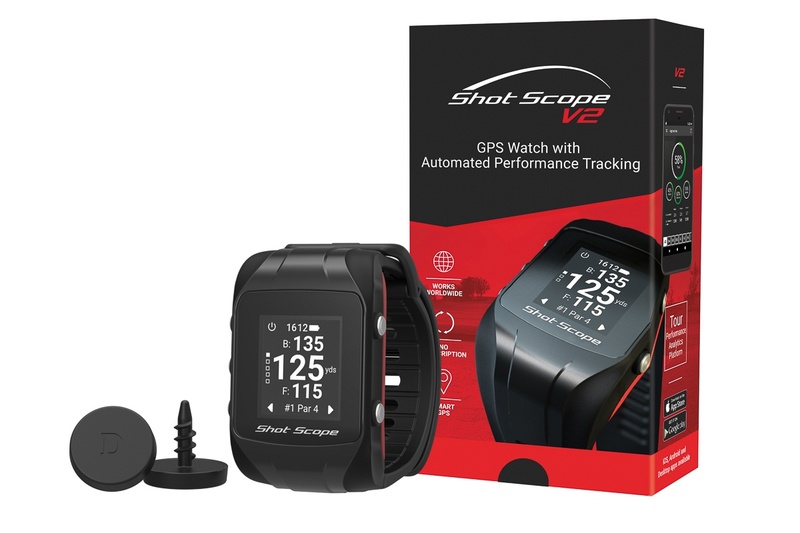 All of this for $339 – dropping to $309 if you can find another golfer, or two, to go with you. 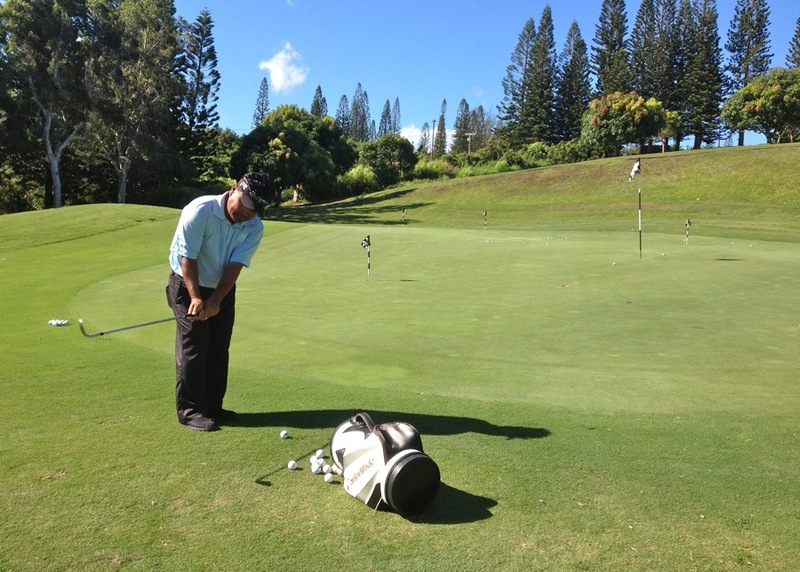 I was impressed by the deal, but more so intrigued with the nature of the instruction at the Kapalua Academy. I have wondered for a while what you can really take from one of these short course academies. Are we talking about instruction that will yield lasting improvement, or is this just a cool three-hour golf activity? On a bright and sunny Maui Friday, armed only with golf gloves, golf shoes, and curiosity, we caught a cab in Ka’anapali and headed to the Kapalua Academy, ariving with plenty of time to spare before the 8:00 am class. What a view! I can’t imagine a more amazing setting for a golf school. Those of you who followed my progress through the day via Twitter have already had a taste of the Kapalua Golf Academy vistas, but those photos, and the ones that I have included today really just do not do the beauty justice. We had about twenty minutes to kill before the class started, and I swear I spent most of the time just gaping around and muttering “Wow”. 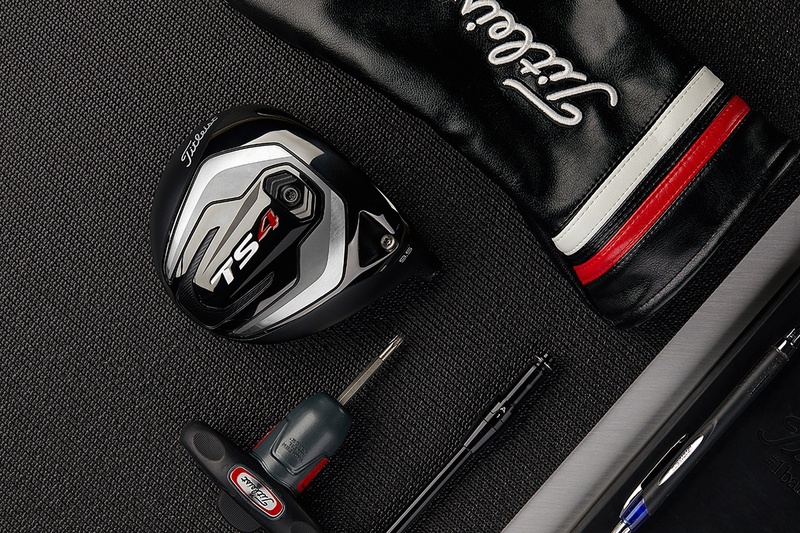 Question 1: Do I need to bring my clubs? 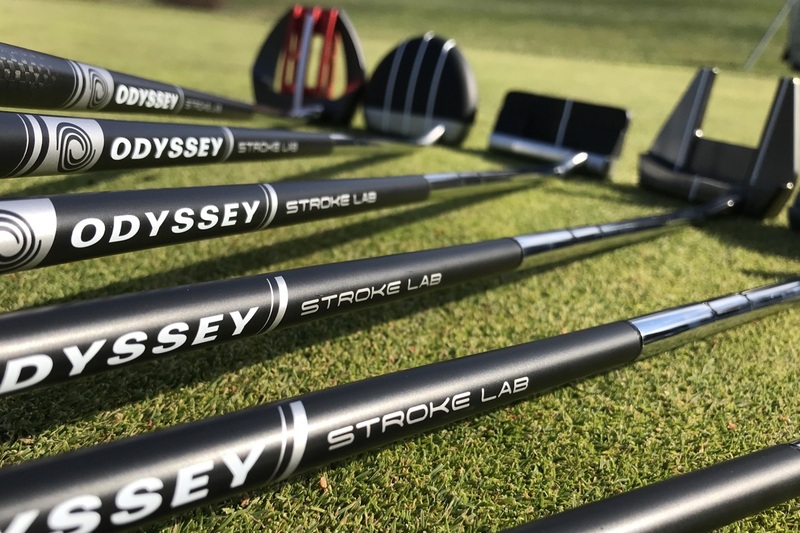 No, you do not need to bring your clubs. You may get a little more out of it with your own gear, but only a little. 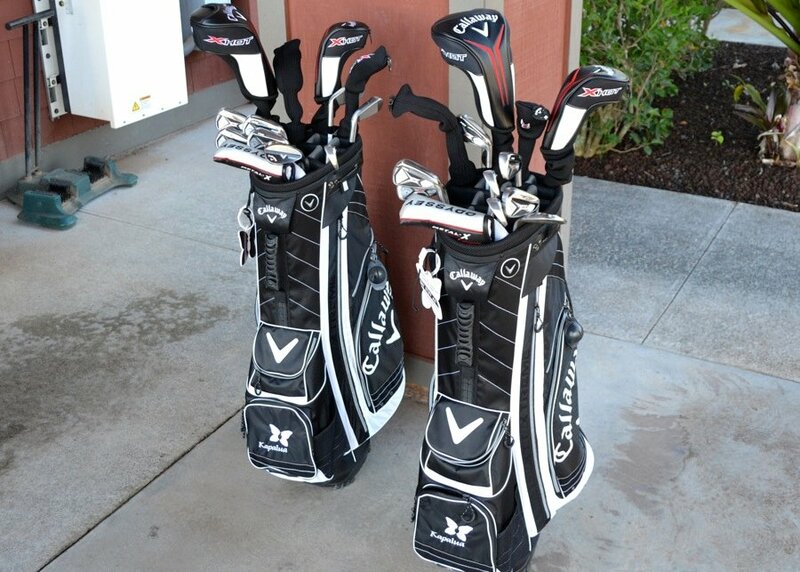 The Kapalua Academy had excellent Callaway rental clubs, all from this year. 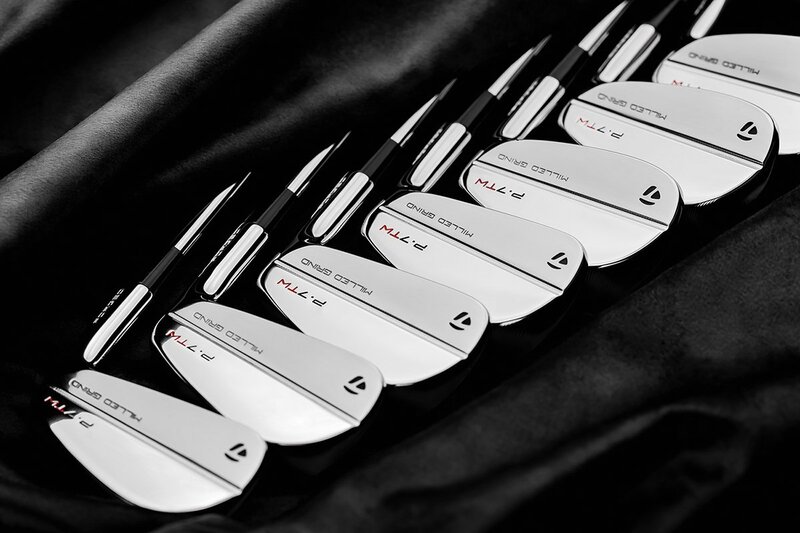 The stiff rentals were X Hot Pro woods and irons, with the regular clubs being X Hot. 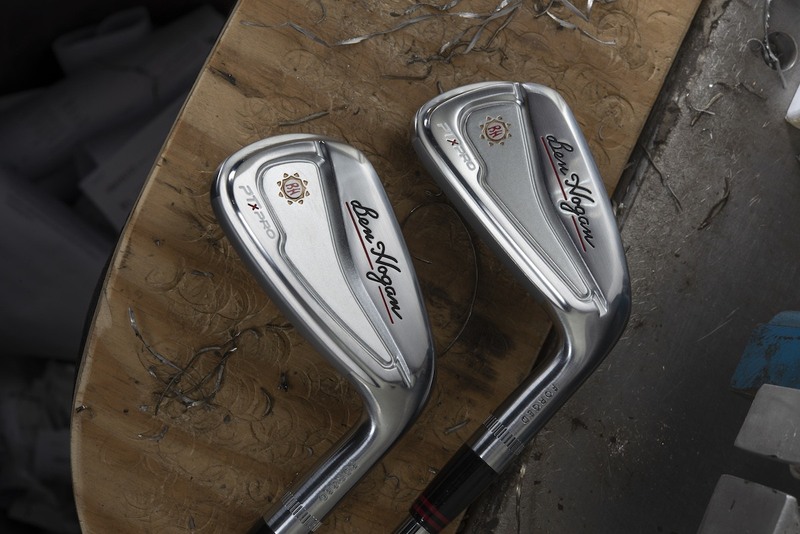 They were in great shape as the clubs at the academy likely get less traffic than the rental clubs on a course would. 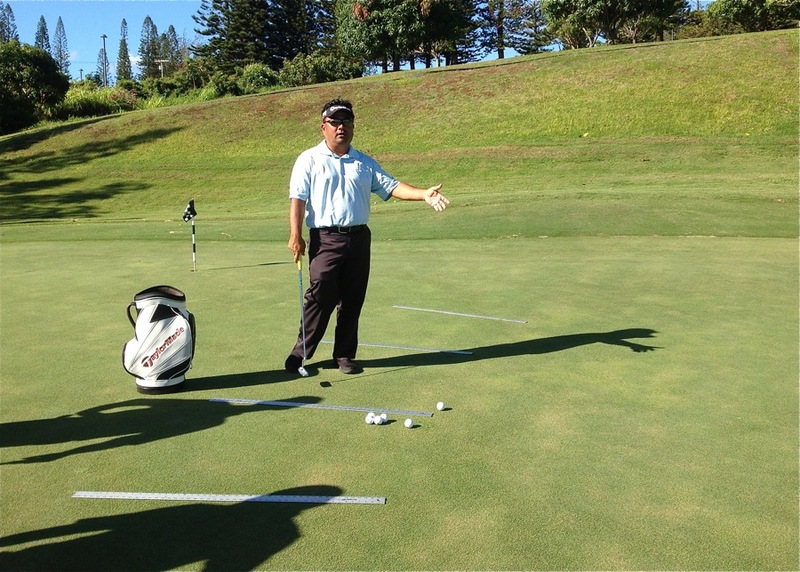 After some introductions, our instructor, PGA Professional Ben Hongo led us through his philosophy on the dynamics of putting. One of the interesting things about Ben’s instruction in general was that it was very data driven, with the putting instruction being no exception. 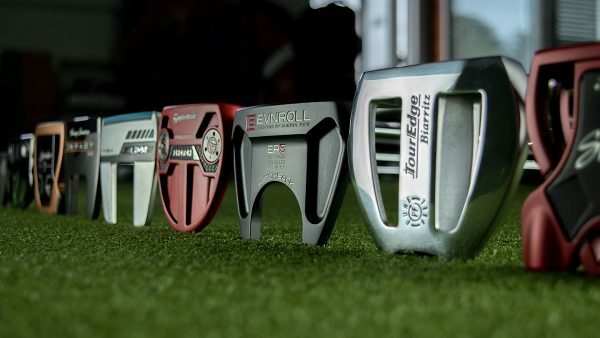 We spent some time going over the impact of face angle on putting performance, as well as the accuracy of tour players at various distances. Ben’s goal for the putting section really came down to two areas: Putting Effectiveness and Effective Putting Practice. Our first drill came in the form of hitting straight putts from four feet. Prior to class, Ben had drawn green lines on the practice green demarking the straight putts. As we prepared for the drill, Ben explained that this short putt really represents the critical make distance, and that it’s the distance that tour level putters make at a very high percentage. To achieve that make percentage, Ben explained, one needs to be properly aligned to the target line. 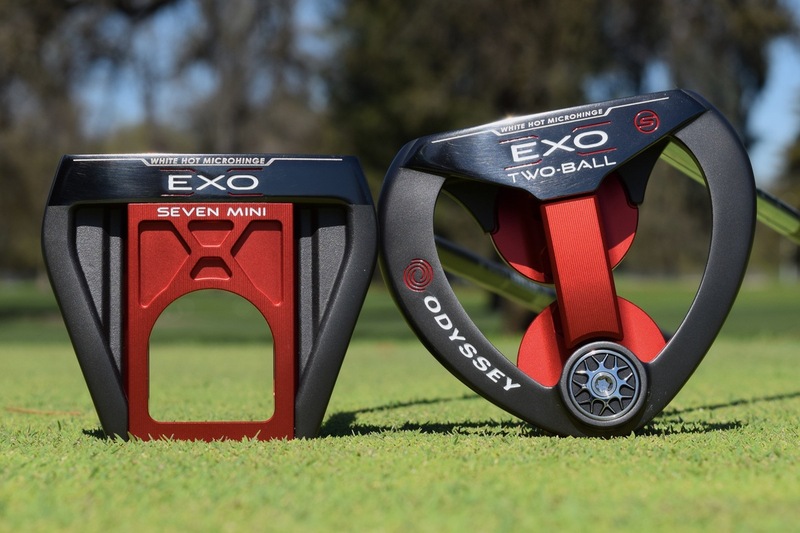 He acknowledged that individuals use different features of the putter when aligning that club, and that that was totally OK. However he did make one bold statement with regards to the ball. The second drill that we did was all about correlating the length of the swing with the distance of the putt. We set up 30’ from the hole, standing in front of metal yardsticks that were sitting on the turf. Ben explained that for his tempo, a 30’ putt corresponded with a 20” back swing with the putter. 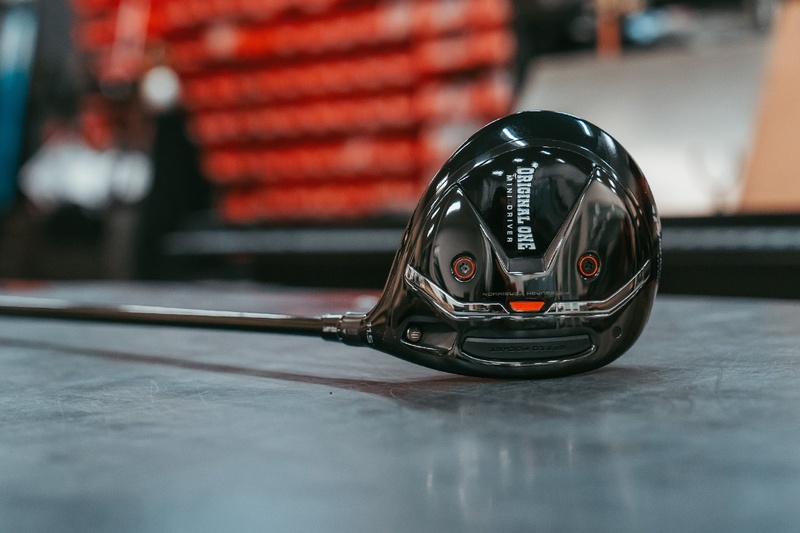 20” was not how far the head actually had to travel from address, but rather where a continuation of the shaft line on the backswing would hit 20”. Ben explained while many players know the distance of their last iron shot into the green, fewer will know the distance of their last putt. 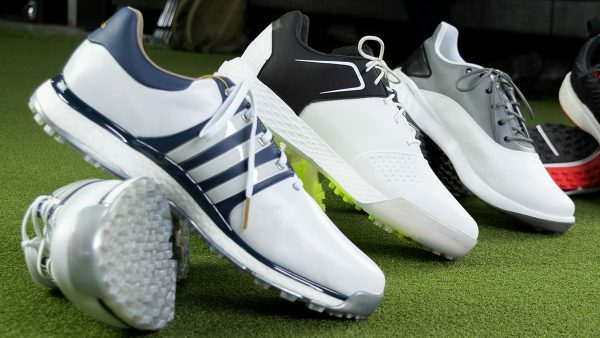 By walking off your putt, and having a set swing length to hit the ball 30’, a golfer should develop a better mechanism for distance control and reduce putts per round. 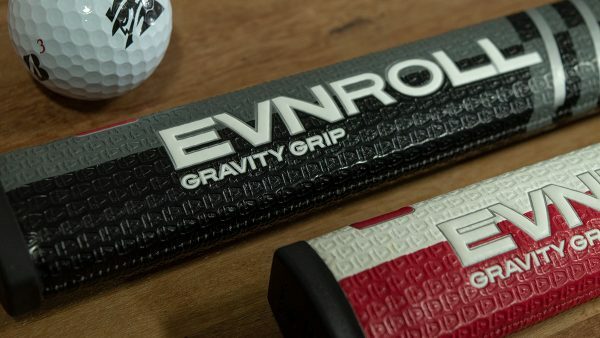 The goal was to get that initial 30-footer inside of your 5-foot, high percentage distance. During these drills, Ben explained that many people waste their time when practicing putting. Tour pro make percentage drops off after five feet, and then even more after ten feet from the cup. 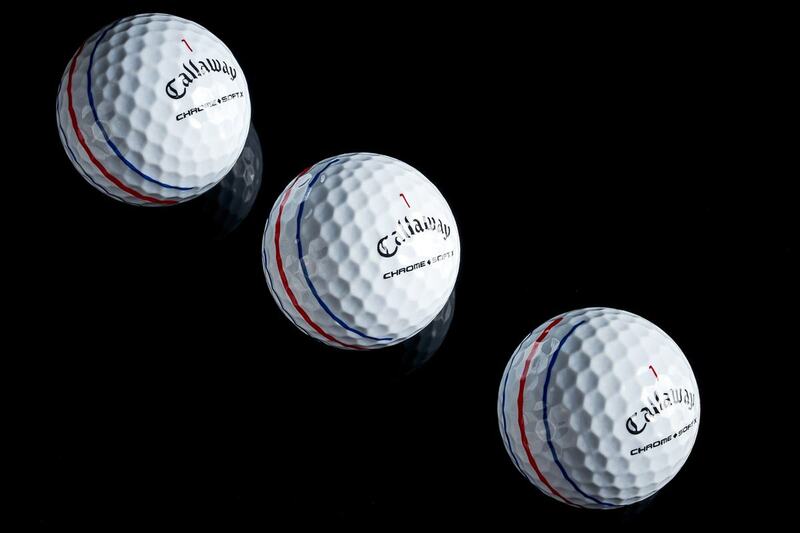 In spite of this, many amateurs will drop balls ten feet from the cup and practice these over and over. Instead, Ben recommended that we practice the five-foot putts that we need to make a high percentage of, and the thirty-foot putts. The approach shot of most amateurs is not going to be result in a putt outside of ten feet. Working on the touch from distance, rather than practicing low-percentage ten-footers, should result in fewer three putts. Question 2: What’s the student to instructor ratio? Our group was made up of four students to one instructor. This was much better than I expected. I also saw another lesson group start after us that had a 3-1 ratio, so I think that this class size must be fairly typical. 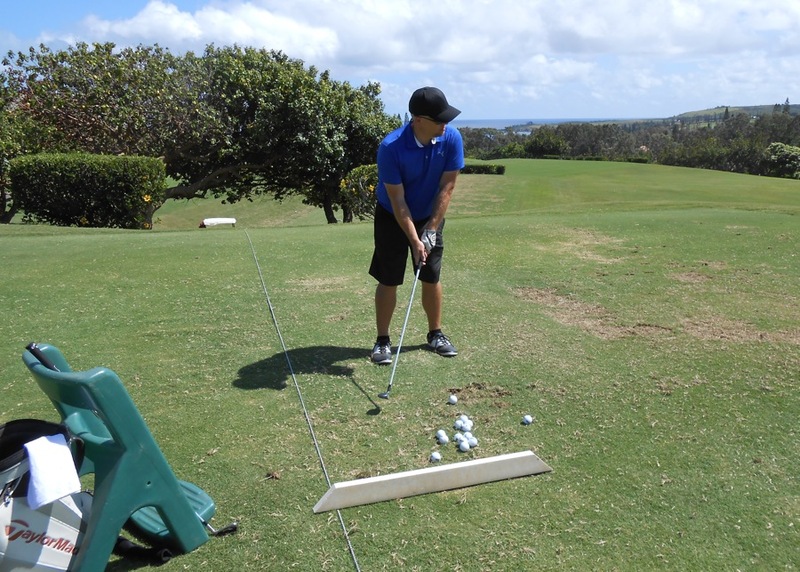 You will get individual time with the instructor at Kapalua. If you are looking at a program at another site, I am sure you can find out the ratio with a phone call. Next, Ben took us through the basics of effective chipping and pitching. 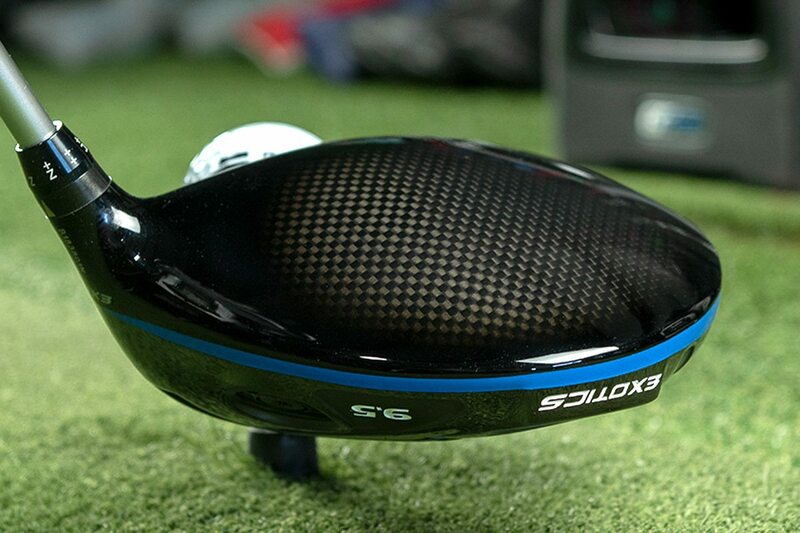 Chipping centered around using your highest lofted wedge, pinching the ball to ensure a low, rolling-out trajectory. Pitching instruction centered more on impacting the ground with the bounce of the wedge rather than the leading edge. You may be one of those guys who makes full-swing flop shots from the edge of the green, but that shot has always scared the hell out of me. When I get the nerve to try it, I am usually rewarded with some nasty bye-bye blade-y ball. Ben showed me something that I think will take me toward being more successful with this shot. 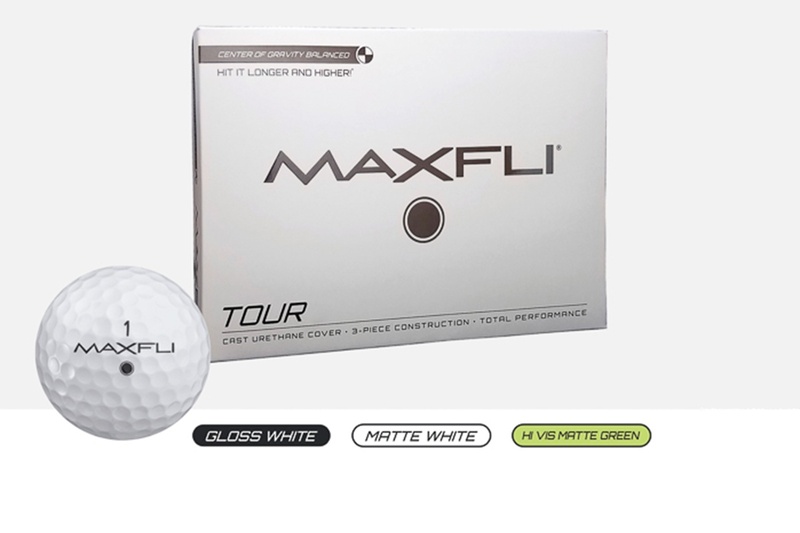 He took a wedge and hit a chip shot, and then a pitch shot off of a painted white 2×4 to show where the club impacts the turf with the two shots . 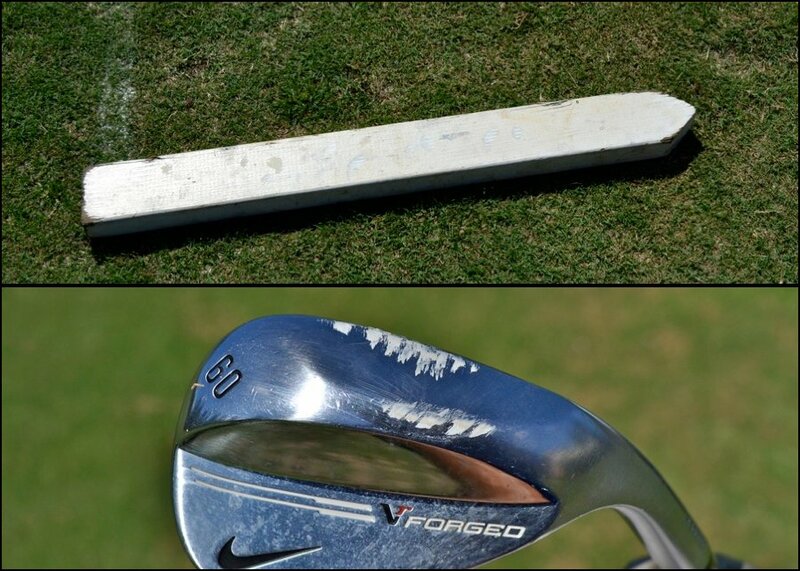 Look at the marks on the wedge. I don’t know why, but I feel that this visual has helped me to really see the difference between the two shots. The flop still scares me, but I think I now have a better idea about what it is, and perhaps how to hit it. 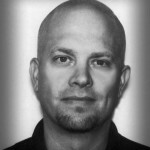 Question 3: Are the academy instructors quality instructors? 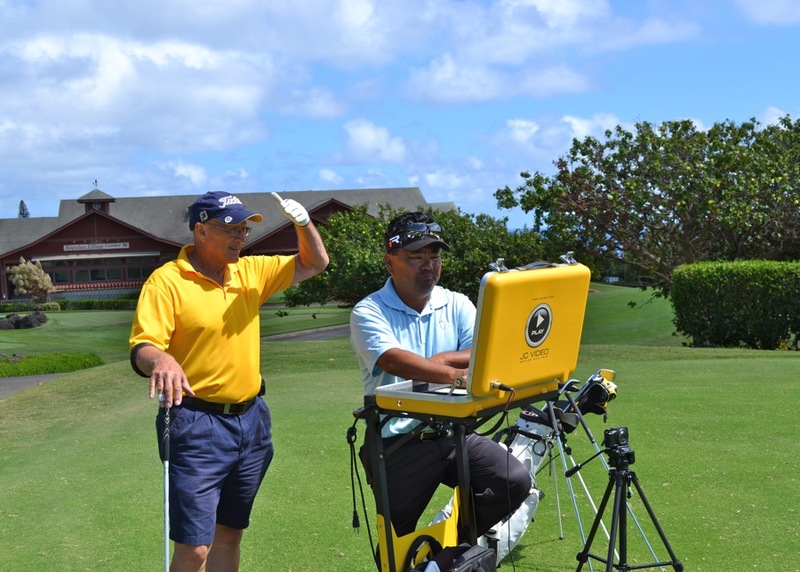 I can only base this on my experience at Kapalua, but our instructor, Ben Hongo, has earned a handful of awards as an instructor, including “Golf Professional of the Year-PGA Aloha Section”. 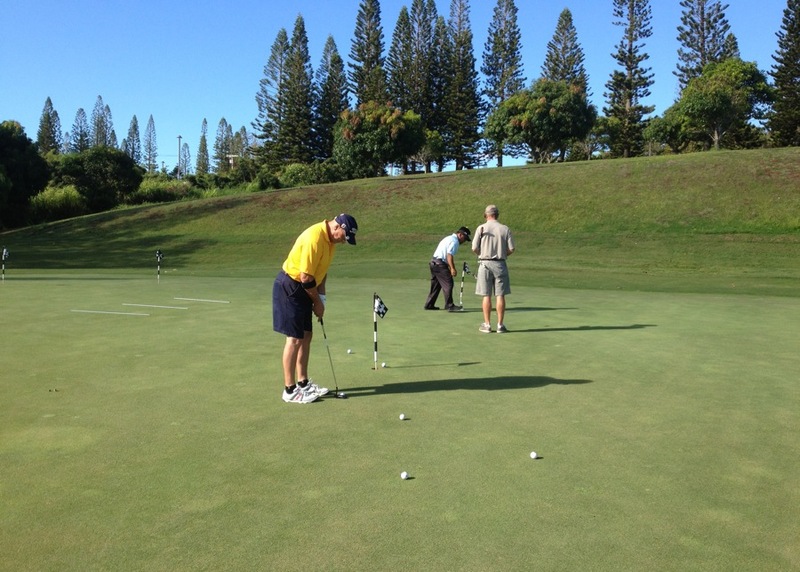 The Kapalua instructors are all PGA Teaching Professionals with more than ten years of experience at Kapalua alone. Be sure to check the instructor bios if you are considering a golf academy at a different location. One of the coolest things about the full swing instruction was that Ben incorporated a portable video analysis system. One by one he filmed our swings from the side and then down the line. After watching the swings with Ben, he pointed out where we could improve, following up with some drills and range supervision. My prior lessons have made me very aware of my swing issues. After a few moments of video analysis, Ben picked out the same faults as my previous instructor. This speaks well of Ben’s quality as an instructor, and poorly of my ability to get rid of near-fatal swing flaws. Overall, it was obvious that Ben was not trying to give each one of the students the same general golf curriculum, but rather individual tips and drills tailored to the needs of the individual. If I was a Maui resident, I would definitely sign up for additional lessons with Ben. Question 4: Did having a lesson in the morning mess up your round in the afternoon? This one is difficult to answer. I’m going to say maybe, but probably not. I did have some of the academy-fresh swing thoughts show up during the round, but I think that they likely helped my score as many times as they hurt it. I know that with more repetition, Ben’s teachings will ultimately be helpful. On the lighter side, having a morning lesson with Ben did give us all a scapegoat whenever we miss-hit a ball or forgot his tip that all putts break toward Molakai. Once we finished with Ben, my father-in-law and I caught a ride up to the Plantation course. We checked in and headed into the restaurant for lunch. I ate a very average salad while looking at very spectacular views of the 18th hole. The sun was out; the ocean was bright blue. It was going to be an amazing round! After lunch, we headed to the starter where we paired up with the two other guys who had attended the academy with us that morning. We had a little time, so we hit a few on the visually stunning range and then warmed up the flatsticks on the greens that Ben had coached us about that morning. 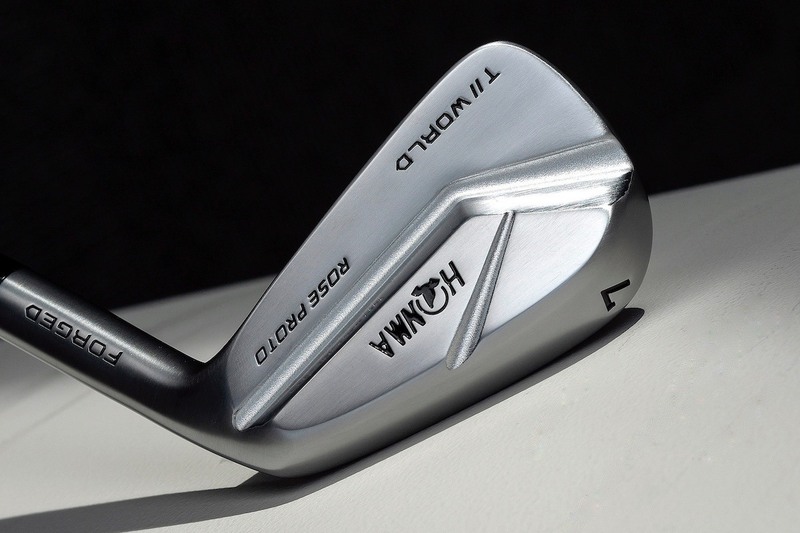 The Plantation course rental clubs were Titleist AP2 irons with 913 metals, with a Cameron Laguna 2 putter. 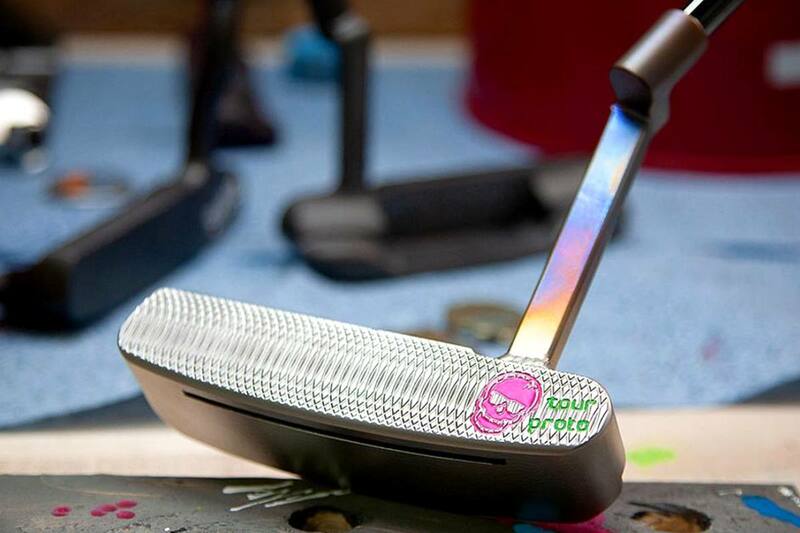 I get the irons and woods choice, but the putter model still befuddles me. 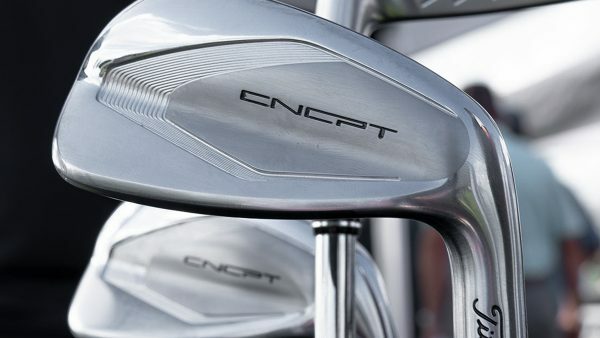 It seemed like we should have had “more-normal” Newport 2’s instead of the more unique Laguna 2 head. I have a Laguna 2 in the arsenal, and I like it, but it still seems weird that it was the rental putter. But hey, it was a Cameron putter in a rental set. How cool is that? Anyway, we teed off on #1. I actually hit a good drive, in spite of first tee nerves and we were all ready for a memorable round. Here is a time-lapse video that I shot of the first ten holes using a Sony Action Cam. See if you can guess what made the round one to remember. Yep, rain. I knew that it rains in the afternoon in Maui, but everyone I talked to said that it only rains for a bit and then clears out. We had rain holes 3-18. Not just rain, but strong winds and pouring rain. I know it’s a cliche to site Caddyshack is a golf article, but that is the type of storm we are talking about here. I quickly understood why the carts came with built-in rain covers for the clubs. The four of us were totally soaked. I actually poured water out of my shoes after the round. Thankfully it was still fairly warm out. Even as wet as it was, the Plantation course was amazing. I wish that we could have had better weather so that I could truly appreciate it more, but playing that round in the downpour with my father-in-law is not something I will soon forget. Plus, I now have a great reason to go back and play again. Question 5: Would you do it again? 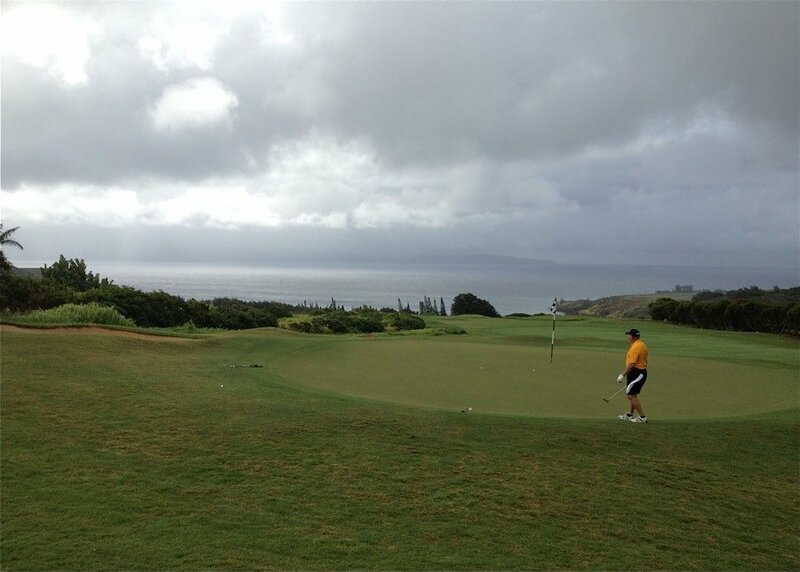 When I come back to Maui, I would love to repeat my day at Kapalua, perhaps minus torrential rain and wind. I feel like my game would benefit from another few hours of Ben’s instruction. 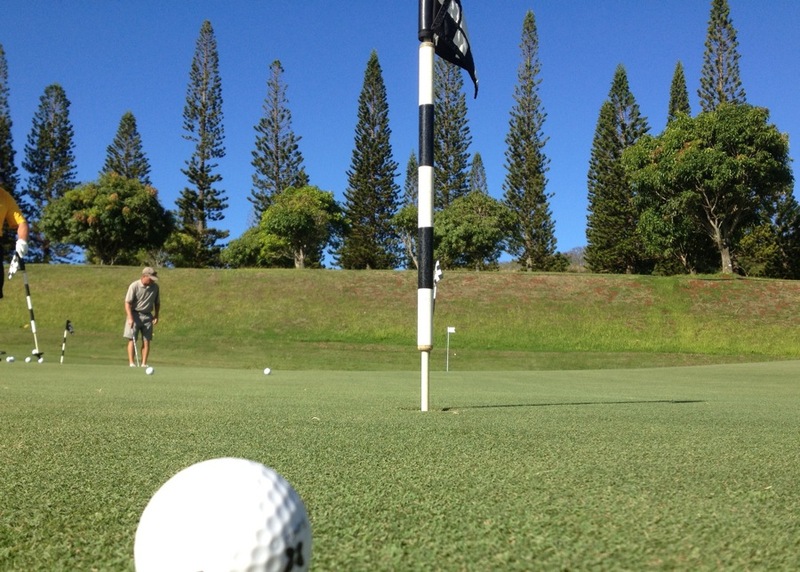 I would like to get over to the Kapalua Bay course for a round since we did not play that track. 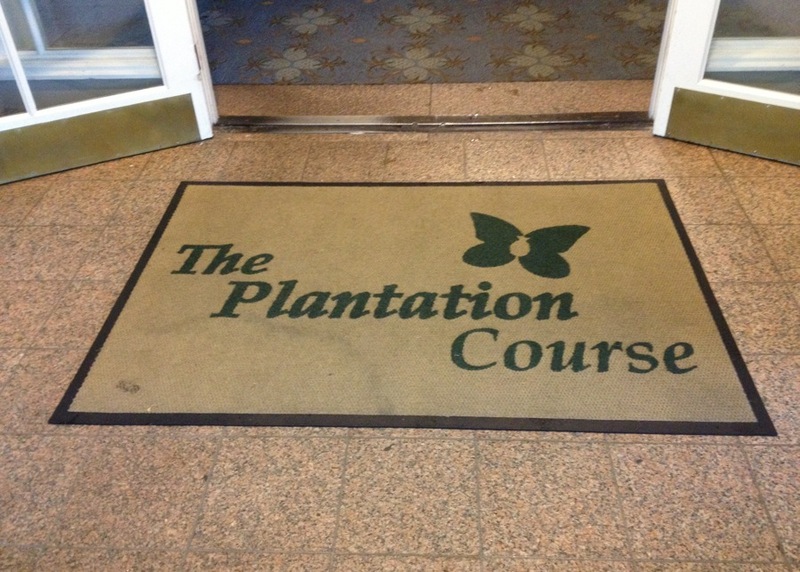 If you need to ask if I would play the Plantation course again well then you sir are none too bright. 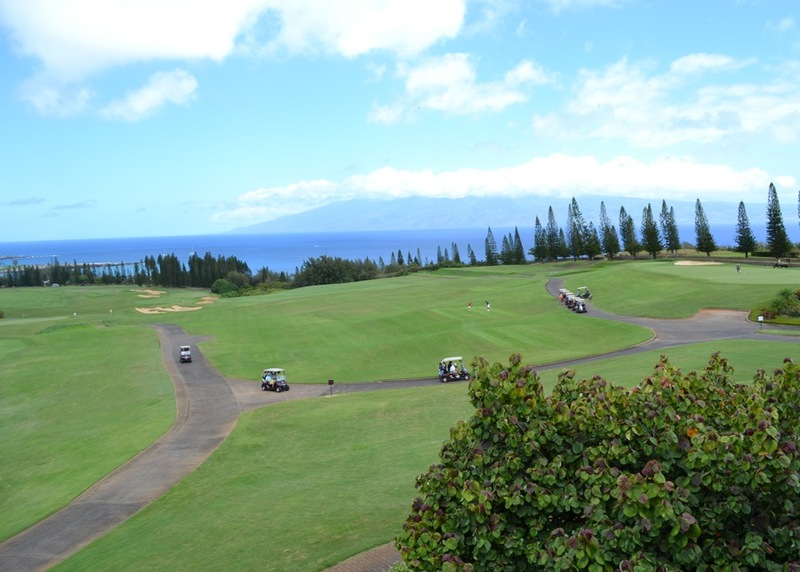 I think that many of you would enjoy the day that we spent at Kapalua. OK, so maybe not the rain, but the other aspects were outstanding. Ben Hongo was a great instructor who didn’t try to do too much to our swings, rather giving us some drills and pointers that could be applied and practiced when we returned home. The lesson and play package is a true deal, perhaps overlooking the price to get to Maui in the first place. 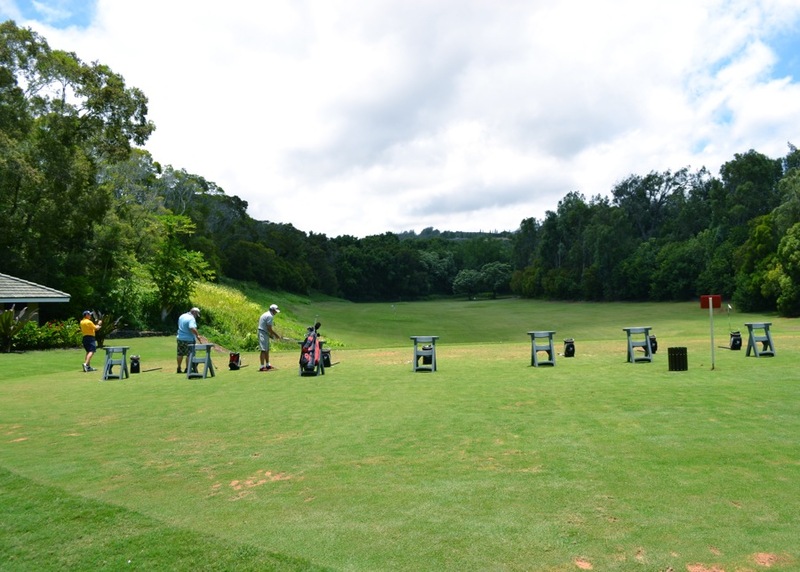 However, if you are planning a trip to Maui, and looking for an amazing day of golf, I can’t recommend enough that you look into the Kapalua Golf Academy. When I go back to Maui, I guarantee I’m doing it again. The memories of that day will last for quite a while. I also can’t wait to see how the pro’s play the Plantation course next year at the 2014 Hyunday Tournament of Champions. The challenges presented by that course make me appreciate just how good those pros really are. Huge thanks to Ben Hongo and all of the staff at Kapalua. 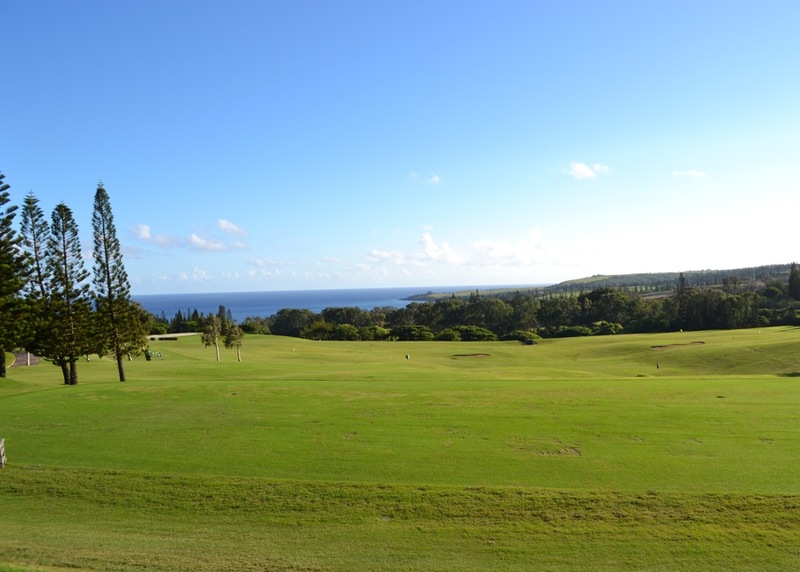 You have developed something special at Kapalua. They have lowered their prices a bit. When I was there 2 years ago, it was just north of $400. Unfortuanately, they had just aerated the Plantation course, so we had to play the Bay course. Still a beautiful course, just not the one you see on TV. I was lucky enough to visit the Big Island a couple of years ago on a business trip and got to play the South Course at Mauna Lani (where they used to play the senior skins game). I can attest to the fact that the pics I brought back (while being absolutely beautiful) can’t compare to being there. I think you have to feel the breeze, smell the sea air, and see the colors alive and moving in that perfect breeze to truly understand. Nice work Dave, looks like paradise. Living in The Great Northwest, we have several different sets of rain wear. Thin layers, thick layers, and a couple in between. That does look like a REALLY fun trip though….